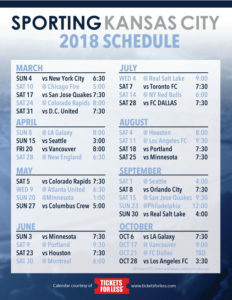 Sporting KC 2018 Schedule has been announced! Get ready fans because it’s going to be an awesome season! With lots of games on the weekend, it’s a for sure good time! Print the Sporting KC 2018 Schedule here.